Sharon Broz was elected to the Chagrin Falls School Board in November 2015. She is currently a member of the Policy, Facilities, Strategic Planning and Records committees and serves as the Board’s representative to the Alumni Association and Spark. During her time on the board, Sharon has previously served as Vice-President as well as Board Liaison to the ONE VOTE Chagrin district levy campaign, the Facilities Committee, Strategic Planning Committee, the Alumni Association, Spark, the Education Foundation, PTO and Tiger Prep. 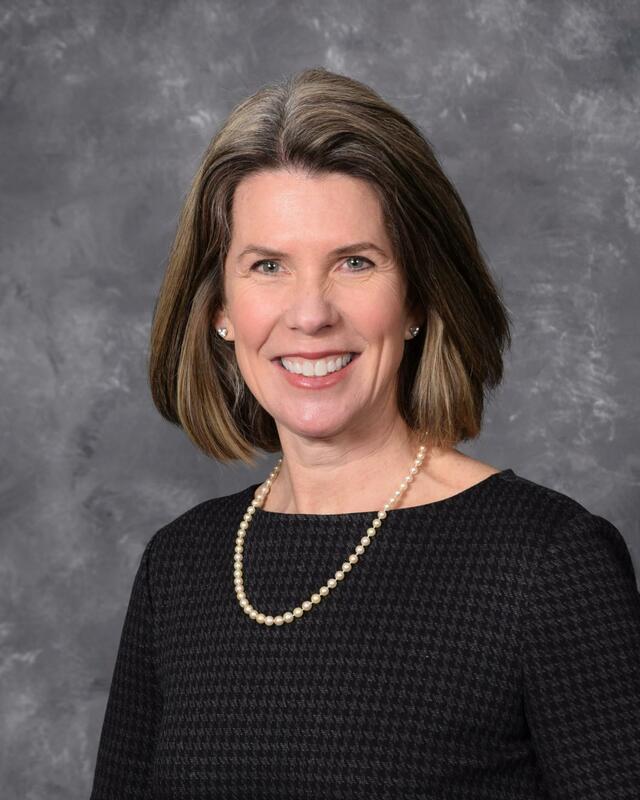 Prior to joining the Board, Sharon served as a Trustee of the Chagrin Falls Education Foundation as well as a member of the Superintendent’s Inner Council. Sharon co-led the creation of Spark, a Board-endorsed parent support organization created to enhance student programming and enrichment. She has volunteered in the district for 10 years leading school funding initiatives, supporting PTO classroom initiatives and as an appointed member of the Superintendent’s Alternative Funding Committee. She has also been an active community volunteer serving on Boards for the Chagrin Valley Women’s League and Valley Lutheran Preschool. Sharon has a Bachelors of Arts degree in English from Denison University. She previously worked as a Business Manager for Capital One and has 10 years of financial services experience. Sharon and her husband, Steve, have lived in the Village of Chagrin Falls for 12 years. They have three sons who have been students in the Chagrin Falls School District since Kindergarten: Parker (Class of 2020); Benjamin (Class of 2023) and Andrew (Class of 2027).